The domain investment community in Australia is sounding a red alert triggered by new rules being considered by AuDA (the overseer of the country's .AU top level domain) that many there see as attempt to institute an outright ban on domain investment. 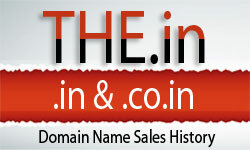 If enacted domains that have already been registered and paid for could be taken away from their current registrants. AuDA is currently inviting public commentary on the proposed changes but the window is about to close with the deadline for submissions set for 5pm Australian EST Friday, April 12 (AEST is 14 hours ahead of U.S. EST which would make the deadline 3AM Friday morning in the eastern United States).